Hi everyone, I just created a new account and haven't purchased any Lego sets for over 20 years until just this week, when my 4-year old son recently found my old box of Legos and started building again. He really like spaceships, so started to ask me to rebuild my old stuff...which led to me digging through my huge pile of bricks for days and remaking the Alien Avenger, Lunar Launch Site, Rebel Hunter,and Galactic Peace Keeper, etc. Keep in mind I haven't kept up with anything Lego-related since about 1996, so I am way out of touch with what's been done since then. Anyway, while we were both looking up Space related themes, he came across Space Police III sets and we both loved how there were criminal mini-figures and sets with scenarios that appear to be happening in some sci-fi, futuristic city. This led to the purchase of some of the SP III sets on Ebay and then he posed a great question: where is the city that these events are happening in? For example, some of the sets include small city elements, such as a stoplight or an ATM, but to my knowledge, Lego has never really created some kind of actual futuristic city that you can play out these scenarios in. I went to the store only to be completely disappointed in my discovery that Lego no longer produces much in the way of original IP. Other than the City and Ninjago themes, almost everything else was licensed franchises like Star Wars or Marvel, which are cool....but just don't allow for the same level of imagination, imo, at least. So.....this got me thinking that if the City theme is still popular, maybe Lego could produce some kind of "future city" for groups like Space Police to exist in. It could really be very similar to classic City, with residential, commercial, and industrial buildings, but would be so cool, if it could be something kind of cyberpunk, along the lines of Blade Runner or the The Fifth Element in design. I actually searched around for something like this, but the closest thing I could find was Ninjago City or things people have built on their own from other pieces. I was just curious if I'm the only one who thinks this could be a good idea? Either way, I've been having a blast building again, and I think my son has reignited the "spark" in me. I went﻿ to the store only to ﻿be completely disappo﻿inted in m﻿y di﻿s﻿covery that Lego no longer produces much in the way of original IP. Other than the City and Ninjago themes, almost ﻿﻿﻿e﻿verything else was licensed franchises like Star Wars or Marvel, which are cool....but just don't allow for the same lev﻿el of imagination, imo, at least. I actually﻿ s﻿earched around for something like this, but the closest thing I could find was Ninjago City or things ﻿﻿﻿p﻿eople have built on their ow﻿n from﻿ oth﻿er﻿ pieces﻿. I know it may be yet another fan creation, and not another official example of a set, but have you ever seen this cyberpunk city layout before? Thanks @Digger of Bricks. I would pretty much take any style of a sci-fi city, whether it be dark and gritty or shiny and "futureworld" feeling; all of your examples are great. That Cyberpunk city in the video is amazing and if something like that was ever released in modules, I would be all over it. It's also good to see that others have noticed the lack of original themes lately. I'm sure Lego is making money hand-over-fist, but I just hope they don't lose the vision of what always made them unique. Hello Arknight and welcome to Eurobricks! I was happy to read about you and your son (re)discovering some old Lego. I think building your own futuristic city would be an intriguing long-term project. I'm sure a lot of the current sets can be used/redesigned for that purpose (Bricklink can be very helpful getting pieces from a lot of themes and eras). Keep also an eye on the MOCs posted in the forum. There are tons of ideas around. Also I found out that Minifig-customization is really fun too: Creating your own characters and give them personality by the way their outfit and gear is like. Anyway. Have fun building and see you around. Maybe you post some pictures of your sets and the progress of the city. 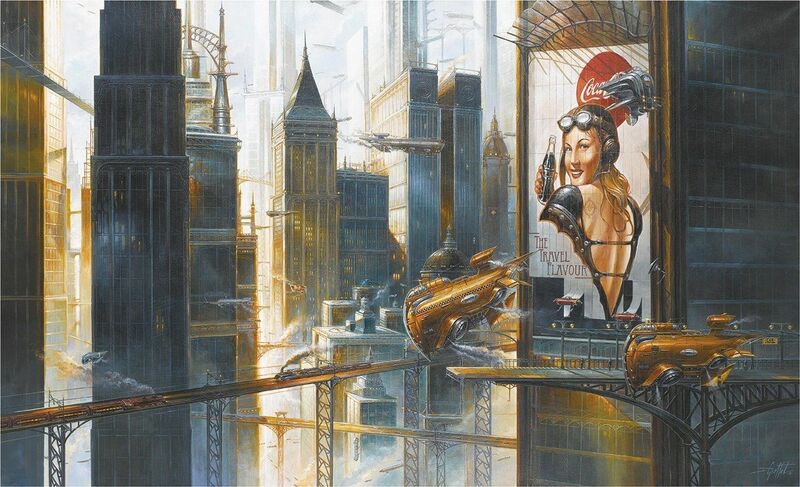 Unfortunately TLG never saw a futuristic city theme as having enough demand to be profitable. That said, they have made some really nice buildings and such that are a great platform to customize (moc) into something futuristic. Anyway﻿, while we were both looki﻿ng up Space related themes, he came across Space Police III sets and we both loved how there were criminal mini-figures and sets with scenarios that appear to be happening in some sci-fi, futuristic city. This led to the purchase of ﻿some of the SP III sets on Ebay and then he posed a great question: where is the city that these events are happening in? For example, some of the sets include small city elements, such as a stoplight or an ATM, but to my knowledge, Lego has never really created some kind of actual futuristic city that you can play out these scenarios in. Much like Space Police III, another theme that had an implied futuristic city setting was Ultra Agents, which only ran for two years with three waves. Unlike Space Police III though, it's setting was instead on Earth as opposed to some other extraterrestrial location.